Plot: Skye never understood why new souls were so eager to go to Earth. After all, she lives in Heaven and what could be better? Readers meet Skye when she is introduced to a 13-year-old girl who has just died and arrived in Heaven. As Skye explains to the teen where she is and helps to get her settled in, readers get a unique look at Karin Gillespie’s version of Heaven. Life carries on for Skye and the souls behind the Pearly Gates until Skye learns that she has been selected to be “born.” She’s puzzled and troubled at the same time – even more so when she meets a new “client,” Ryan Blaine, who, after arriving in her guest chair, returns back to Earth. But Skye can’t stop thinking about Ryan – there’s something so familiar about him and she just can’t place the feeling. Predictability: Medium – higher if you’re a Hallmark movie fan like me! Wild Card: Divinely Yours is a sweet and funny romance story. 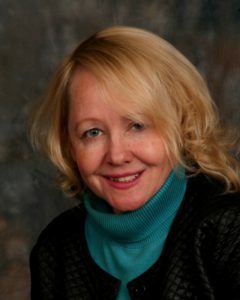 It’s a quick read, too; mainly because Karin Gillespie hooks her readers into book with an inventive and witty take on heaven. This book is the literary equivalent of an ensemble film like “Love Actually.” I really liked the story overall – it was a joy to see how each of the characters fit together as the full narrative unfolded. 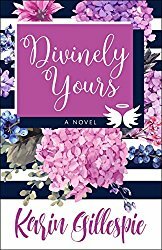 Enter to win an autographed print copy of Divinely Yours!